Do all restaurants provide the same experience, quality, and end results? Value and satisfaction? Of course not. Should one assume chiropractors are “all the same”? No, they shouldn’t. Yet our subconscious minds naturally expect it. The human body, a living organism, is designed to automatically heal and regulate itself. The nervous system (brain, spinal cord, and nerve roots along the spine) controls everything in your body; it is the command centre for healing and regulating. When stress (physical, chemical, mental/emotional) causes interference, #1 & #2 cannot be true. The body loses control, and symptoms, side-effects, and even pain occur. We detect, analyze, and help correct this stress-caused interference, allowing the body to return to its natural intent – to heal and regulate all function. With gentle, traditional, and lower-force adjusting techniques, Dr. Gelber focuses on stimulating the nervous system to let go of stress so that you may function properly again. To embrace a truly holistic approach to your ongoing health and well being, Dr. Gelber takes the time to get to know you, your health concerns, how you envision your life and how improved health will help you achieve whatever you wish to accomplish. Together a plan is designed for your individual needs, and a strategy is initiated to put you on the road to wellness. Learn more HERE about our analysis. Hello there, here is my story: I'm an international student in Canada and I had chronic back pain for about more than 10 years. Recently my back pain reached to the point where I couldn't sit for more then few minutes, the pain effected my sleep, no matter what position I was in, I couldn't feel ease. It really effected all aspects of my life and it was only getting worse. I was frustrated because no matter what I've tried in the past, nothing seem to ease with the pain. I've decided that I want my life back. Fortunately, I've met Dr. Joshua and I've told him my story. He carefully analyzed my spine + x-ray's and suggested a dedicated treatment plan. Putting numbers away (which are decent, btw), Dr. Joshua's personality and the way he handle things, gave me the confidence that he can help me. I can tell you now that after about 1.5-2 months of adjustments (3 x week) I feel a drastic improvement! I can sleep much better, I can sit for much longer and I feel much less pain! Dr Gelber is an amazing chiro that has helped me so much in my journey of healing my migraines and anxiety. He's always willing to help and also has the best advice for any pains I'm dealing with. Chiro has really helped with my alignment and posture. I honestly believe chiro is a must for everyone. Grace and the other staff at the clinic are always so welcoming and kind. I would 10 out of 10 recommend Annex Family Chiropractic for anyone looking! I don't have acute pain or issues anymore but I believe that regular visits keep them that way. It appears to me that by maintaining regular visits, I reduce the likelihood of issues and limitations that so many people my age seem to have regularly. Prevention is one of the few things we have control over so why not take advantage and be healthier. I started out with Dr Gelber two years ago, at 5'4", now I am 5'5.5" but not only that my energy is better, I sleep better. They helped me knock a sinus infection on its head! After a family death, Dr. Gelber helped my body manage stress and tension, and also cared about my treatment. The team at Annex Family Chiro are warm, welcoming and beyond amazing. Its true that you don't know what you have until its gone, but it is also true that you don't know what your missing until you try it!! As a teenager and young adult I was involved very much in the martial arts, extreme sports and just misadventures without realizing at the time how much damage was being done to my body. About 10 years ago when I was 45 , I was diagnosed with chronic pain disorder and placed on a disability pension. I was given oxycodone for pain relief and tried many different modalities of both conventional and natural healthcare with minimal results overall. I started treatments with Dr. Gelber about 3 months ago and have experienced an amazing positive change in my overall health. Not only, for the first time in 10 years, my pain level has been quite low but also when I do have a pain flair up or re-injure myself It takes much less time to recover. Moreover, my overall outlook on life and my bodily systems are much more alive and I feel the healing of dis-ease leaving my body as well as dormant nerve endings being stimulated so that this state of homeostasis is being maintained on a permanent basis. I have also been weening off opiates for a more natural approach and the chiropractic treatments have been helping with the withdrawal symptoms. Dr. Gelber, is a true healer in every aspect and his approach to chiropractic care and over all healthy life style management for each individual patient is unique and extremely effective. Unlike most conventional medical personnel, Dr. Gelber believes that the patient plays a major role in his/her healing process and always discusses and shows you evidence of your healing progression from your initial visit and onward. His healing techniques do not just mask the issues or just treat the signs and symptoms of pain and discomfort but actually stimulate the nerves that in turn heal the cause of the pain as well as maintaining the body systems in top condition. His office is very modern and each patient has their own electronic card to sign in with and to bring up their file for Dr. Gelber to access quickly so the wait and treatment time is very short. I must also mention his assistant Grace who is very personable and keeps the office running efficiently. I would highly recommend Dr. Gelber for anyone who takes their healthcare seriously and no longer wants to live in pain or dis-ease. I saw Dr. Gelber for jaw pain resulting in daily headaches. It was very gradual but after 3-4 months I realized they had become relatively non existent. It was such a relief. I felt it also helped in other areas and over all I just felt better.. more energy. I started with Dr. Gelber about 3 months ago for neck pain and for potential help with a chronic GI related illness. I would say that even in this short period of time that my neck and posture have significantly changed (for the better) and I am starting to notice an improvement in my symptoms in my GI illness. I have had less flare ups and even if they occur they are short lived. Furthermore, Dr. Gelber and Grace at the front desk are just lovely, friendly, and welcoming people. They work to make the clinic a comfortable environment and Dr. Gelber advocates for his patients to take an active interest in their health as a whole. He tries to keep patients as informed and educated on their health, not relying on "quick fixes" for long term problems, which is something I've have had a hard time finding with other health care professionals. Dr. Josh, and Grace at the front desk, have been so excellent from start to finish. I've been dealing with chronic shoulder pain for as long as I can remember and when I realized that with my wife being pregnant I would soon have to wear back packs and baby carriers, I decided it was time to get this looked at. For most of my life I've had to only wear one strap backs, using both straps causes immense dull achy pain. Also long walks would really do me in. Although I still have a long way to go, Dr. Josh got me to the point (after roughly 5 months) that I walked the 5k Scotia bank run with my wife and baby, and carried our baby in on my chest all the way down to the start line, the whole 5k, and then some ... pain free! Blew my mind. Thanks Dr. Josh!!! Before I started seeing Dr. Gelber, I was in agonizing back pain resulting from an athletic injury. I was in so much discomfort, I was unable to carry my backpack, let along walk regularly. I saw Dr. Gelber for 8 months and he worked wonders for my back. After a short period of time I was already starting to see great results and able to resume regular daily activities without pain. I highly recommend Dr. Gelber! Before I started seeing Dr. Joshua Gelber, I struggled with sciatica that required extensive stretching at least twice a week. I have a high stress job and would experience fatigue and feel the burn out coming on in a couple of months. I do not need to stretch anymore and do so only out of choice if I do. I also feel more emotionally balanced and am able to dig deeper during stressful times and avoid burn outs. I have been a patient of Dr. Gelber about 11 months due to neck pains and severe headaches. It turns out to also improved my overall posture. My neck feels much better, I can turn my head easily and I have less headaches now. My colleague noticed the amazing changes on me and started to see Dr. Gelber as well. Dr. Gelber is very approachable and always willing to answer questions. 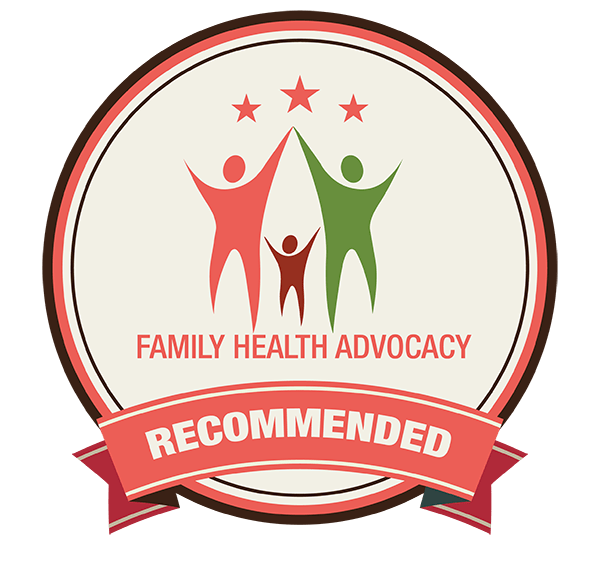 I would highly recommend Annex Family Chiropractic to anyone seeking long term, permanent results and a more natural approach to their health. My daughter has been seeing Dr. Josh on and off since she was 6 with amazing results. She loves going. Clearly she feels better. She is now 14 and is on a one year plan. She is very active and the treatments have improved her alignment, posture and technique as a dancer. I have been going to Dr Joshua for over 10 years. During the early stages, I suffered much discomfort in my back and hips. Today, I am reaping the benefits of having had a regular treatment schedule, and still attend for maintenance purposes. Dr Joshua cares about the health of all his patients. He takes time to listen to our concerns however insignificant they may seem, and has excellent staff. The atmosphere is always one of friendly interaction, but professional at the same time. I would definitely recommend Dr Joshua's services. Dr. Josh knows his stuff and the improvements I've seen in my health since I started seeing him are evidence of that. Very friendly staff as well. If you're looking for a great chiropractor, look no further. You won't find a better one. Sharing on behalf of my friend, Arnold Zweig. At 56 after a head over head snowboarding escapade at Whistler, I was introduced to chiropractic care. My spine was apparently twisted from the injury but more important was that after 35 years of sitting at a desk, my spine and muscles took on a mind of their own and were far from straight. It took 4 years to get me back to where I thought I should be and I was advised to go on a monthly maintenance program. Thinking foolishly that I had been completely healed I took a hiatus for 4 years. Well, apparently my spine and muscles decided to go back to their "comfort" zone and I began experiencing as much of the aches and pains in the back as I had before. As much as I hated to admit it, Dr. Josh was right. You can't do this on your own and you can't rely on your muscles to realize and accept where they ought to be. Sometimes you do need intervention ; looks like I am hooked for life and I am back and am not going to leave this time. I can say without hesitation that chiropractic treatment really has made an enormous difference in the way I stand, sit, walk, hike, bike and yes, snow board. Dr Joshua is a true healer! Very Thankful for his Skills and Compassion. I had seen a great improvement on my back after being treated by Dr. Gelber and as for his staff and Dr. Gelber are very positive. One thing will never forget the greeting on my b-day when I was being adjusted � �������. He knows what he's doing, has a warm personality and knows how to get the best treatment for my past disc herniations. Thank you Dr Gelber! Keep doing what you're doing because you are authentically genuine and competent. I first heard about Dr. Gelber...through My Favorite Youngest Daughter!!! Her symptons, while explaining her visit to see him, seemed to mirror my own symptons... So, I called to make an appointment!!! I was out of alignment...I still am...although...there has been improvement!!! I sleep much better, now, I must say!!! I am a work in progress!!! I look forward to my further "alignment recovery!!!" I have been seeing Dr. Gelber for about 3 months and have seen significant improvements in my back and neck pain with less occurrences. In addition, my concentration and focus has also improved significantly. As a student, I have constantly endured back pain and neck pain possibly due to bad posture while studying and carrying heavy loads during my commute to school. I always thought that this pain was normal. I would have never thought that a subluxation in my spine was present. When the X-rays of my spine came back I was quite shocked and overwhelmed with the curve that was seen in my spine and loss of curvature in seen in my neck. However, Dr. Gelber explained everything to me and assured to me that I was in good hands and in the right care. My care for the past 3 months has involved 3 visits a week. At first, I was very hesitant to have my spine adjusted due to fear and my own personal perceptions of the practice. I let Dr. Gelber know about my fears and worries and he eased me into the adjustment. He explained to me each step throughout my first adjustment. This made me feel much more comfortable and at ease. Over time, my fears of being adjusted have disappeared and I actually look forward to my visits at the office! Not only does Dr. Gelber provide exceptional care but his Chiropractic assistant Grace has also been very helpful when scheduling and accommodating appointments around my busy school schedule. She is the first friendly face you see when you walk into the office! Overall a great experience at Annex Family Chiropractic. I would highly recommend those with health concerns to visit Dr. Gelber and his team! I am very satisfied with results of chiropractic adjustments at Annex Family Chiropractic. Dr. Joshua Gelber helps me maintain optimum health from the inside out. My body was design it for, but was not living it up to it. By simply getting regular adjustments; I have been restored to normal spinal functions, keep up with life activities, reduced stress level, relief of pain, and importantly feel better physically and mentally. I am glad I make the decision to see Dr. Joshua Gelber. There is a significant difference in comparison to before adjustments and now. I continued to have regular adjustments to maintain optimum health. And it is all natural which I love. Thank you Dr. Joshua Gelber and Grace. Finest principled Chiro in the area. Don't miss the opportunity to meet and work with this wonderful man. Had troubles sleeping due to neck and back discomfort and the adjustments helped relieve a lot of the stress. Recommend everyone to visit Dr. Gelber. The one word that comes to my mind when I think about this doctor is “Unbelievable” this type of doctor is very rare to find, he is not a typical doctor who you will encounter every often. Doctor Joshua Gelber goes above and beyond than any doctor that I have encountered with. With my first meeting with him, he exactly knew the steps and proper care that he would need to take in order to treat my scoliosis. In addition, he was also able to discover that my neck needed immediate attention, or else it would significantly affect my health. Furthermore, not only he looks after your health but, he goes as far as teaching you. I was able to learn many things that I wouldn’t have known, such as “Subluxation” which are caused by traumas, stress, falls, etc. Subluxation prevents your body from healing and essentially if that happens it can cause tremendous damages to your organs. Moreover, I am truly happy that I met this kind of doctor because since the day I met him, I started to see big difference in my body. Doctor Joshua is very special and unique. He is very funny, and very friendly. He will not make you feel uncomfortable but will make you welcoming. He was the only doctor that accepted me while the rest refuses. He deserves a huge recognition from the medical field because is the best of the best. Working with Josh has been imperative to regaining balance in my body and consequently in my life. It's an absolute must especially for anyone who is suffering from any back, neck or hip pain. We are conveniently located in midtown Toronto. Call 416-967-4466 for an appointment so we can get to know each other. I look forward to meeting you. Some of the most common reasons people like you seek treatment with Dr. Josh. Copyright ®2019. Dr. Joshua Gelber. All rights reserved. Hosted by Chirowebs.net. All rights reserved.